Manufacturing is the process of transforming raw material or raw materials into products that are used at various points in the supply chain. Production is the process of converting various inputs into finished goods or services. Production scheduling software can be used in a range of different environments. Examples are testing houses, engineering laboratories, direct mail fulfillment, warehouses, packaging operations, and kitting and final assembly. Production scheduling software must consider a range of different constraints that include machines, people, and material. Manufacturing production scheduling software should handle many of the same constraints considered by production scheduling software. However, both the relative importance of the constraints and the algorithms used to generate good schedules may be different. Good manufacturing production software must be able to handle the unique aspects of manufacturing environments, materials used in the manufacturing processes as well as the various types of equipment and time involved in the processes need to be considered. Most manufacturing environments are machine centric since machinery is required to convert raw material into semi-finished and finished products. The characteristics of the machines used varies based on the products produced. Manufacturing scheduling software must be flexible enough to model these different types of machines, particularly machines that can process more than one part / order simultaneously. Since often manufacturing companies have the option to schedule work to machines that are not identical, manufacturing scheduling software also should accurately model not just the primary machine, but different alternates as well. Examples of the machines that the software should model are multi-pallet machining centers, ovens, printing presses, and laser / plasma cutting tables. Unless they are dedicated to a single product, all manufacturing machines that add significant value require setup / change over time. Manufacturing scheduling software should be able to model the time required to setup / changeover when a significantly different product follows the one currently scheduled on the machine. At a minimum, fixed setup time should be scheduled, but it is much more advantageous if the manufacturing scheduling software can calculate the setup time required when transitioning between the two different parts based on their characteristics. No only should manufacturing scheduling software appropriately calculate the setup time, but it should have algorithms that schedule in a way that minimize setup. If the algorithm groups too much similar work to minimize setup, delivery dates will be missed. If the algorithm doesn’t group enough similar work, there will be unproductive machine downtime due to setups. Manufacturing scheduling software with good set up minimization algorithms should hit the “sweet spot” when trading off efficiency and delivery. 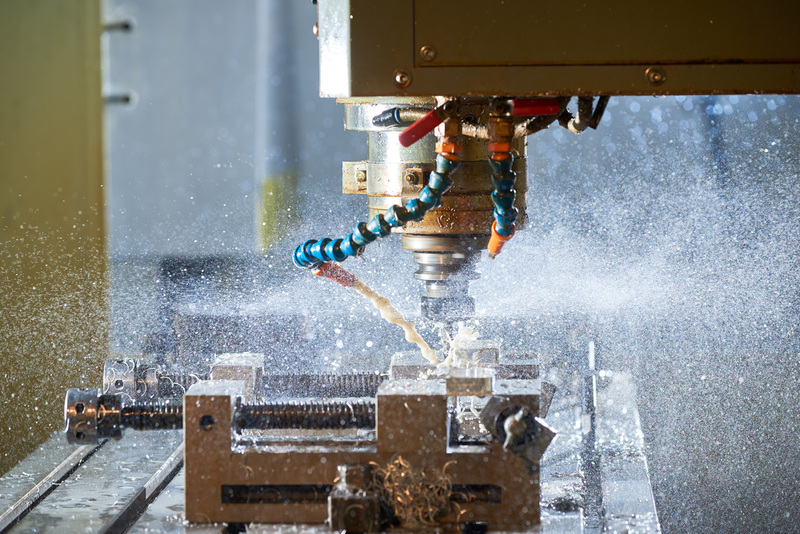 Since machines add significant value, manufacturers strive for high machine up-time. However, some downtime is inevitable. At a minimum, there is planned downtime for machine maintenance. Despite best efforts, occasionally machines do also breakdown. Manufacturing production software should be able to manage this downtime, both as part of the regular scheduling process and though what-if analysis to plan around the unexpected. Although machines are the primary source of value-add in manufacturing plants, fully automated environments are rare. Machines still need to be staffed. Manufacturing production scheduling software needs to model concurrent labor constraints that include skill matrices, different skills for set up and run, and a single operator running multiple machines. Since full staffing on all shifts is unusual, your production scheduling software should be able to automatically shut off the right machines when off-shift staffing levels drop. It is very common for manufacturers to make specialized semi-finished products and components for other companies in the supply chain. Therefore, manufacturing companies often have fewer customers than companies that produce finished goods. To be profitable, manufacturers often need to manufacturer to customer order rather than to hold finished goods inventory in stock. In some ways, it is more challenging to manage a smaller customer base where each customer has a more significant impact on profitability. Manufacturing production scheduling software that provides accurate visibility to when orders finish helps in such environments. The software should be able to model the fluctuations in demand that often occur with fewer customers. It should serve as a tool to communicate order status to customers well in advance of ship dates, and it should help manufacturers take corrective action to keep customer orders on time. Lastly, your production scheduling software should allow manufacturers to make and keep good delivery promises to customers, and to see the impact on other customers when priorities change.